Normally I'm not a fan of Valentine's Day. I find it forces one to buy a gift for your significant other that he/she probably doesn't want or really need and makes things that are a thoughtful gift (ie flowers) 3 times more expensive! 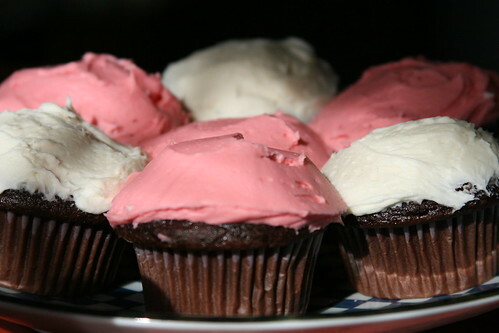 This year, due to a tight budget and lack of ideas, I decided to just bake cupcakes for Los. I went for a traditional chocolate with vanilla buttercream icing... hard to go wrong with that combo. Luckily they were a huge hit and I think he actually appreciated the thought. Plus it helps that I have a fabulous husband who has actually started noticing when I mention items that I like. 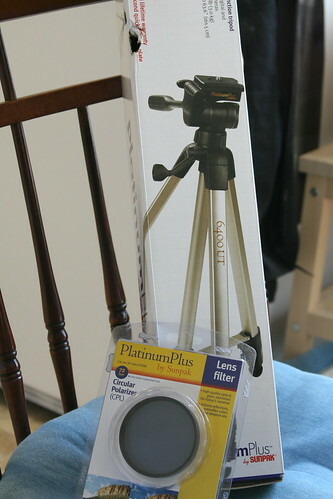 This year he got me a tripod for my camera and another lens filter! It's a small gift, but I think it's fabulous.